The Yarmouth Rowing Club was founded in 2001. 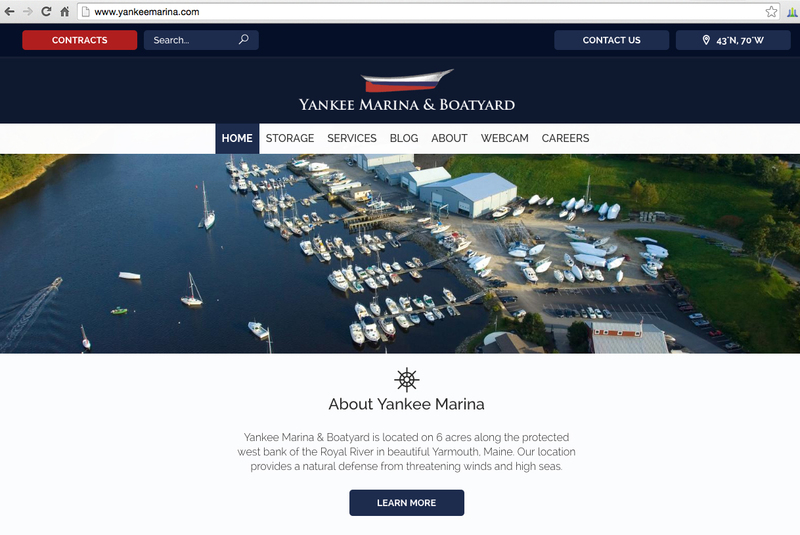 Our boatyard space is located on the Cousins River in Yarmouth, Maine just off Route 1 by the Ford Dealership. 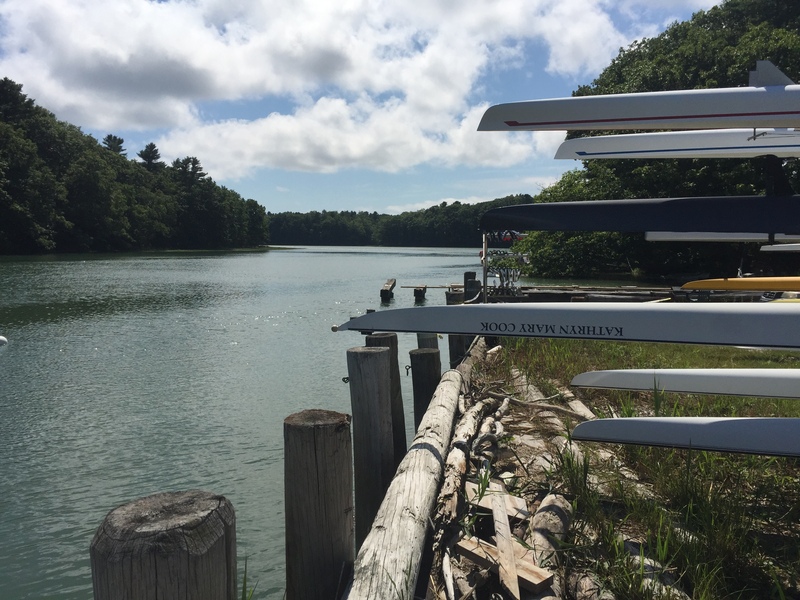 Our rowing season runs from mid-April through November. We offer competitive and fitness level sweep rowing for adults, and a competitive youth crew (high school-age rowers) in spring and fall. 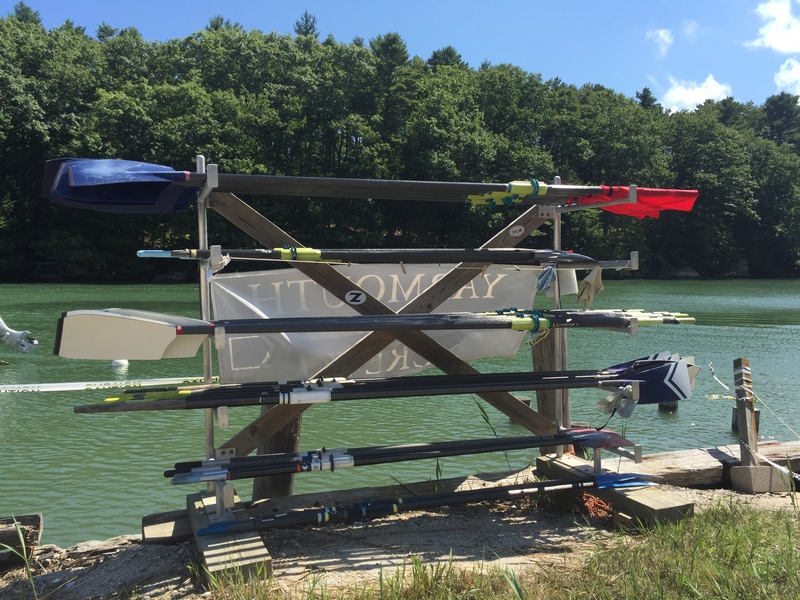 We have two racks for the club boats (fours and doubles), two smaller racks for private small boat storage, two safety launches, a safety gear storage locker, a cabinet for everyday items and car key storage, an oar rack and a boat trailer. 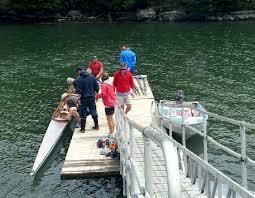 We also have a ramp and dock system for access to the river. The Cousin’s River is tidal and is unrowable for two hours on either side of low tide. 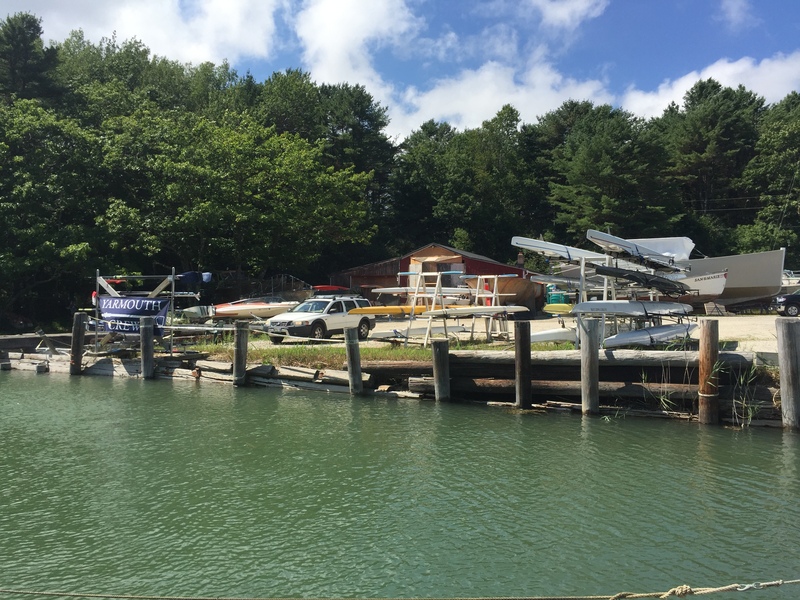 We operate from the Even Keel Marine Complex on the pristine Cousins River in Yarmouth, Maine, adjoining world-class multi-hull designers Greene Marine and our hosts, the Lowell Brothers, fifth-generation lobster boat designers and builders. 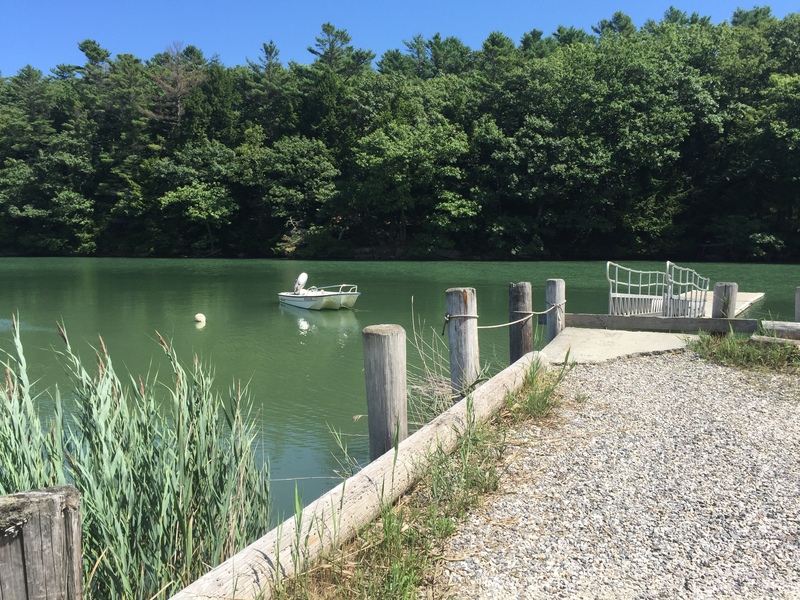 The site is located at the end of Even Keel Road in Yarmouth, an unpaved road just north of Casco Bay Ford. Our seasonal special-purpose ramp and float were built and are installed and removed annually by Custom Float. Shells are stored in open racks and the entire landside operation is removed and stored each winter at the Boat Barn established by the youth program on repurposed land supplied by the Town of Yarmouth at its transfer station. Shells are washed with rainwater collected from the roof of the Even Keel building, and supplied by gravity feed with supplemental on-demand pressure from storage of up to 800 gallons. From 295, take exit 17 and head North on Route 1 toward Freeport. JUST past The Ford Dealership, turn right onto Even Keel Road (a dirt road). Please drive slowly (1o mph) to keep the dust down. Bear left at the fork and go all the way to the end of the road. We share the yard with 2 working boatyards so please drive slowly and watch for staff vehicles, delivery trucks, boatyard dogs, etc. 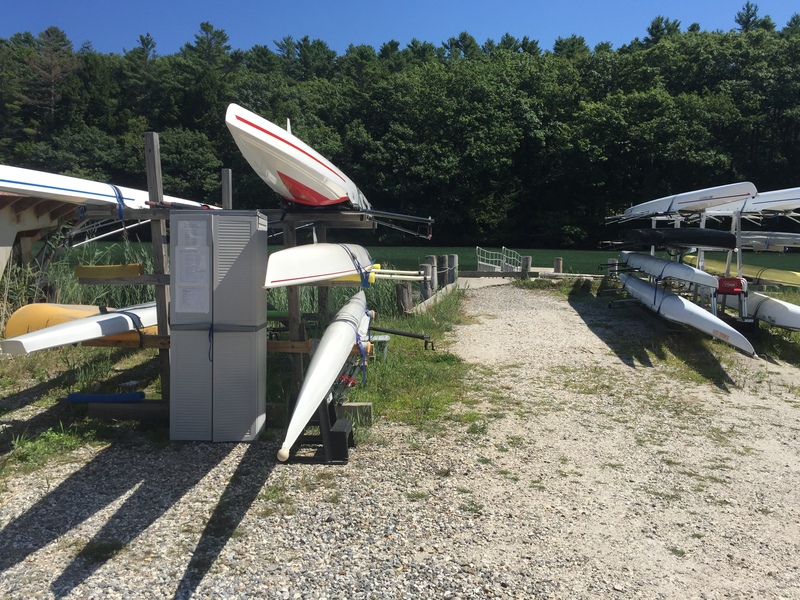 As we share the waterfront space with two working boatyards, the parking is very limited and restricted to designated areas only (river side, between the multi-hull boats and our boat racks.) You may also choose to park at the nearby Yarmouth Visitor Center Park & Ride area and carpool over. While there is a porta potty, a tank of rain water and a hose for the boats, there is no potable water on site. Please bring your own water bottle.